Kenneth Claiborne Royall (July 24, 1894–May 25, 1971) was a United States Army general and the last person to hold the office of Secretary of War. 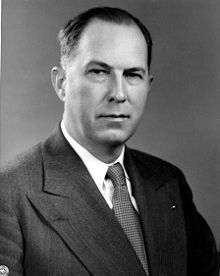 That position was abolished in 1947, and Royall served as the first Secretary of the Army (a successory position) from 1947 to 1949. This page was last changed on 18 November 2017, at 12:23.